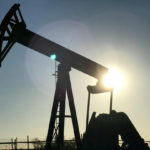 Egypt’s Minister of Petroleum and Mineral Resources Tarek al-Mulla said in a statement Tuesday that the input of the Apache to the Egyptian economy is poised to grow as the company plans to form a joint team to prepare a five-year plan for oil exploration and increase the company’s investments in Egyptian oil and gas. John J. Christmann, the CEO and president of Apache Corporation, and Minister of Petroleum and Mineral Resources Tarek al-Mulla discussed Tuesday means of expanding the company’s exploration activities in Egypt. Christmann noted that Egypt is on track with the goal to became oil and gas independent and even became net exporter of the energy and fuel.